Fido, Rover, Fetch... check out these websites to find a name for your pooch. Search and find thousands of dog names here. You can also find out what your dog's name means and how popular it is, or even find paired name. A good site to check out if you want to find a name by letter. Happy searching! In the winter of 1999, they did a survey of call names of modern sled dogs. They heard from 3000 sled dogs with 1800 different names. Type in your pet's name and receive an analysis of his or her personality--it's fun! A compilation of over 25,000 Russian names taken from period sources, including some Slavic root names. 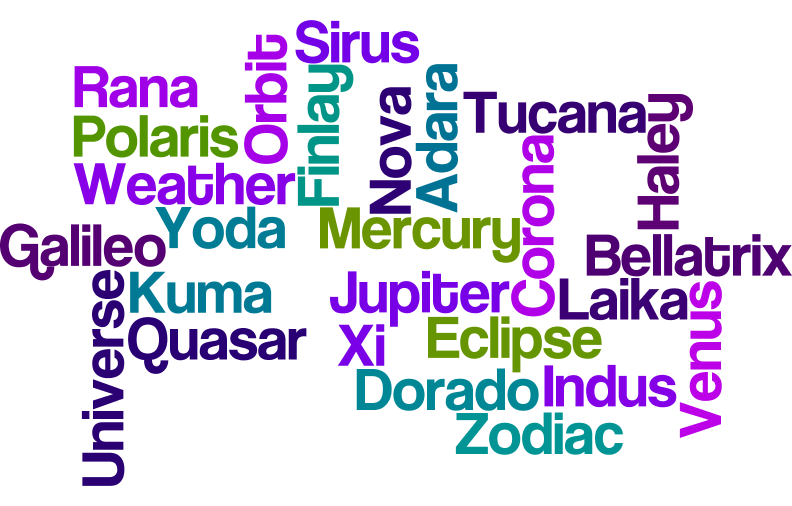 An alphabetical listing of names and their meaning.